Crystal SG gives architects the opportunity to create work environments that are imaginative and visually stunning. 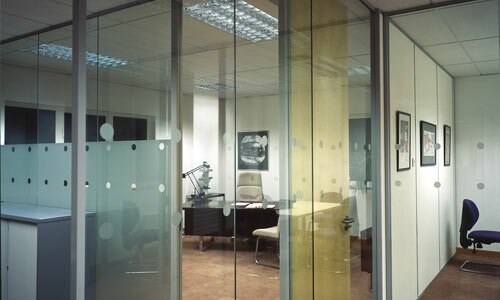 This super-slim full-height single glazed partitioning system uses a high-quality aluminium framework only 25mm wide, which accepts glass of 10mm up to 12.8mm thick using standard tear-off glazing gaskets. Thicker glass can be used if required. As with all other Finesse and Crystal systems, the sections are clip-together, and are designed to substantially reduce on-site installation time, particularly where transitions to either double glazed or drywall are required. Crystal SG gives architects the opportunity to create work environments that are imaginative and visually stunning by using manifestations and innovative storage solutions to maximise floor space. Space is always at a premium, and the ultra slimline Crystal sections give a footprint that is barely bigger than the glass itself, creating an almost frameless illusion.